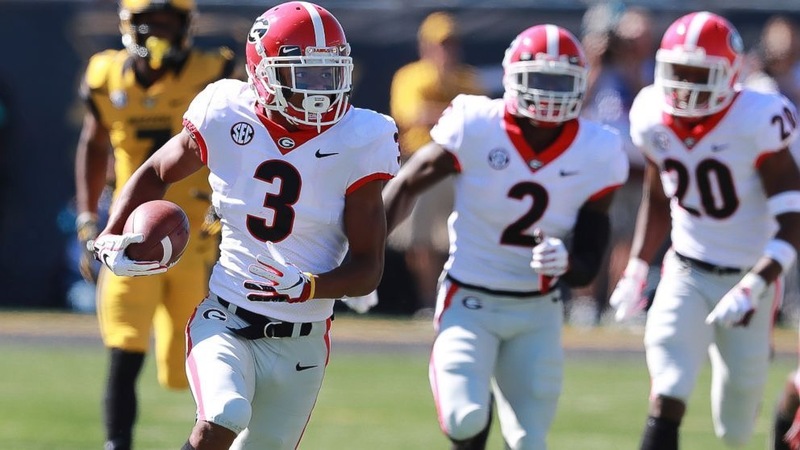 Non-offensive touchdowns were key for Georgia as the #2 ranked Bulldogs took down Missouri in Columbia on Saturday, 43-29. Jake Fromm was able to turn it on in the second half with three touchdowns trough the air. The sophomore signal caller finished the day with 260 yards and the 3 touchdowns, to go along with 1 interception. The Bulldogs (4-0, 2-0 SEC) were also able to run the ball to the tune of 185 yards on 40 carries, led by Elijah Holyfield with 90 yards. For Missouri (3-1, 0-1 SEC) it was the run game that allowed them to hang around, as Georgia smothered Drew Lock and the Tigers passing attack that came in averaging 389 yards per game. Georgia limited Missouri to 221 yards through the air, but will be upset with the 172 yards and 4 touchdowns given up on the ground. Turnover margin: Every stat in this game was fairly even, except one. Missouri’s 3 turnovers to Georgia’s 1 were the key to this game. The Tigers couldn’t stop shooting themselves in the foot. It’s already hard to beat a #2 team in the country, it’s borderline impossible when you lose the turnover battle. D’Andre Walker: The senior linebacker forced two fumbles on two sacks, and was a constant menace in Drew Lock’s face. Walker also had a key pass break up. Georgia: The Bulldogs will welcome Tennessee to Sanford Stadium. Missouri: Mizzou will head to the other Columbia in the SEC East and try to earn their first SEC win of the year against South Carolina.